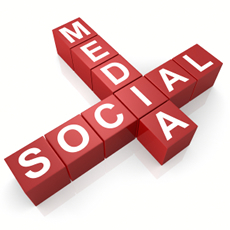 Social media (Web 2.0) is busy driving online activity. Social media optimization (SMO) is becoming increasingly important as more businesses are taking advantage of social media to promote their services or products, and at the same time building brand authority for their name. According to Facebook stats, there’s more than 750 million active users on Facebook and 50% of that user base logs in at least once a day to see what is going on. These results are staggering and it means that +-375 million people are logging on to the biggest social network to check what their friends are up to. This means that the possibilities and benefits are endless for businesses using this channel to engage with their network. Although people are using social media more than anything else online, why is the Web 2.0 phenomena regarded as a social gold mine for targeted traffic? People aren’t just spending their time browsing away on Facebook, they spend quite a lot of time following links from the network. For this exact reason Facebook is becoming a great source to find relevant information. Unlike Search Engine Optimization (SEO), the focus of social media marketing (SMM) is all about creating appealing content that members of your network will want to discuss and share with their friends. So what does this all mean? Will an internet marketing company have to change their strategy and plan to integrate SMM more than SEO? Is this already happening and we haven’t released this yet? While having a high rank on the search results is a great source of inbound traffic, the most valuable method of drawing activity to your website is creating relationships with your targeted market. A great benefit of SMM is that if you can increase traffic to your website together with building customer loyalty through SMM strategies. You will also see a boost in traffic because Google will regard your company more valuable when ranking your website. Don’t get me wrong, SMM is not easy, but if you have an optimized SMM strategy and campaign, you can be sure that you are in the right direction of building your foundation on which a continuously growing online presence can be built.